Iranian Foreign Minister Mohammad Javad Zarif says Tehran is closing in on a deal to sell oil to European nations despite the US threats of sanctions against any countries that do business with Iran. 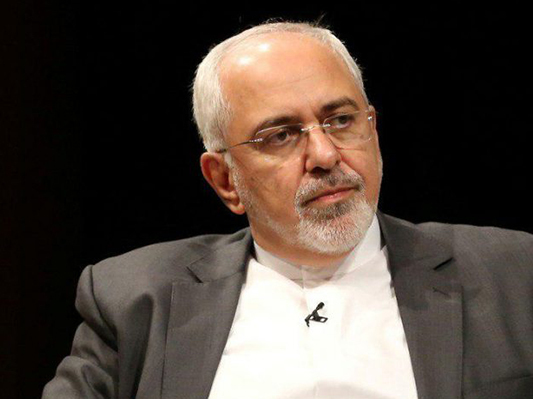 Zarif made the remarks in an interview with reporters in New York on Saturday. New York Times says the Iranian top diplomat sounded far more optimistic than he had in recent months that he could peel away America’s traditional allies to break Trump’s effort to cut off Iran’s revenues. If the arrangement comes to fruition, it would constitute the most open break between US President Donald Trump and European allies that objected vociferously to his decision to pull out of the 2015 nuclear deal. Zarif further dismissed Trump’s escalating verbal attacks on Iran’s missile sales and its support of Hezbollah, Hamas and the Syrian government of Bashar al-Assad. He laughed when asked whether the United States could bring down the current Iranian government with mounting financial pressure. Nor did Zarif expect the United States to attack key Iranian facilities, he said. Asked about his recent conversations with Kerry, whom Trump and his Secretary of State Mike Pompeo have accused of undermining American foreign policy, Zarif said the messages were simple. “What he has done is encourage us to stay in the deal,” he said. As for the threats by Trump to investigate Kerry, he said, “I didn’t realize you still had witch hunts going on in the United States” — a nod to one of Trump’s favourite phrases about the Russia investigation. On the subject of claims by Israeli Prime Minister Benjamin Netanyahu that Iran had hidden nuclear-related components in a warehouse in Tehran, Zarif said he believed that it was a cleaning facility for Persian rugs. But he would not commit to letting inspectors from the International Atomic Energy Agency visit.